This wikiHow teaches you how to delete a Facebook fan page that you created. You must be an administrator in order to delete the page. The process of deleting a fan page is different than deleting your Facebook account. 1 Open Facebook. The Facebook app has a blue icon with a white "f". Tap the Facebook icon on your home screen to open Facebook. 2 Tap ☰. The icon with three horizontal lines is in the upper-right corner of the Facebook app. It's below the messages icon. This displays the menu. 3. Tap Pages. It's about halfway down the menu. It's next an icon that resembles an orange flag. This displays all the Facebook pages you have administrative rights to. 4. Tap the page you want to delete. Facebook pages you own are listed in order of most frequently used. 5. Tap Edit Page. This button has an icon that resembles a pencil. It's on the right side, below the cover photo and Facebook page name. On an iPhone, this appears below the blue button that says "Add a Button". This displays a menu for editing your page. 6. Tap Settings. It's the last option at the bottom of the Edit Page menu. This displays the page Settings. 7. Tap General. It's at the top of the Settings menu. It's next to an icon that resembles a gear. 8. Scroll down and tap Permanently delete [page name]. It's below The header that says "Remove Page". It's near the bottom of the General Settings menu. On an iPhone it might say Delete [Page Name]? instead. 9. Tap Delete Page. It's the blue button on the right side. This confirms that you want to delete your page and permanently deletes your page. 1. Open Facebook. It's the white "f" on a blue background icon. If you're logged in, doing so will open your News Feed. 2. Tap ☰. The icon with three horizontal lines is in the bottom-right corner of the screen. This displays the menu. 4. Tap the name of the page you want to delete. Pages are listed in order of most frequently used. If you don't see your page listed here, scroll down and tap Pages near the bottom of the menu. You may have to first tap See All. 5. Tap the …. It's in the top-right corner of the screen. 6. Tap Edit Page. You'll see this option near the top of the pop-up menu. 7. Tap Settings. It's at the bottom of the "Edit Page" menu. This displays the page settings. 8. Tap General. It's at the top of the "Settings" page. 9. Scroll down and tap the "Delete" link. Your page's "Delete" link is at the very bottom of the page; it will say "Delete [your page's name]" here. 10. Tap Delete [Page Name]. It's the blue button near the top of the "Remove Page" page. After tapping this button, you'll have fourteen days to change your mind, after which you'll be prompted one more time to delete your page. 2. Click Pages. It's in the bar on the left side. It's next to an icon that resembles an orange flag. It's below the header that says "Explore". 3. Click your page's name. It should be in the top-right side of the News Feed, directly below the "Your Pages" heading that's below your name tab. 4. Click Settings. You'll see this option in the top-right side of the page. This displays the Settings menu. 5. Scroll down and click Remove Page. It's at the very bottom of the screen; doing so will expand this option to display a delete link for your page. 6. Click your page's delete link. It will say "Permanently delete [your page's name]" at the bottom of this page. 7. Click Delete Page. This is the blue button in the pop-up window here. 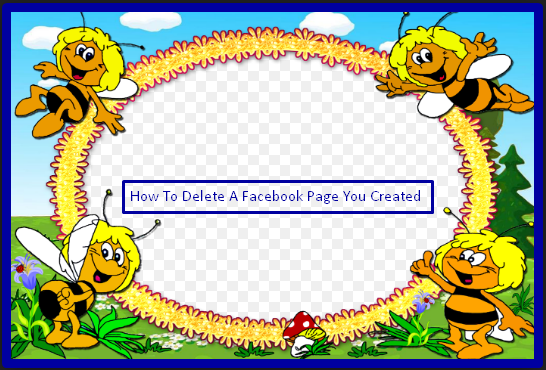 Doing so will schedule your page for deletion and hide it from search engines. After 14 days, you'll be prompted to confirm your decision to delete the page, after which it will be permanently deleted. 8. Click Ok. The permanently deletes your Facebook fan page.